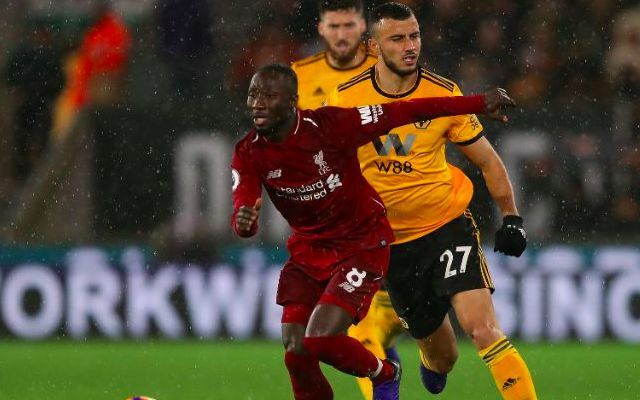 Jurgen Klopp has no concerns over Naby Keita’s form as the summer signing continues to settle into life on Merseyside. The Guinean is yet to rediscover the explosive form that he displayed in the outstanding 2017/2018 campaign he enjoyed with RB Leipzig. Besides a slow adjustment to English football, Keita’s struggle for consistency has also evidently been hindered by niggling injury setbacks and Klopp’s occasional use of him in an unfamiliar role on the left of a 4-2-3-1. He endured another difficult evening in Wednesday’s 1-1 draw with Leicester, although was by no means alone in that respect. A tough debut campaign hasn’t been without glimpses of his all-action value, evidenced by bright performances in the opening day win over West Ham and away victories over Crystal Palace and Burnley. At times he has channelled the aggression and intensity Klopp demands in his ball retrieval, and yet at points he has looked worryingly passive when not in possession. There is a clear attacking ambition to his game, notably his confidence to launch bursting runs with the ball from deep in view of breaking the lines. It may not have always come off so far, but the intent has been there. Klopp’s formational change, whilst hugely effective so far this season, hasn’t aided Keita’s integration, which is why Reds can hold onto the fact they have seen nothing close to his best.